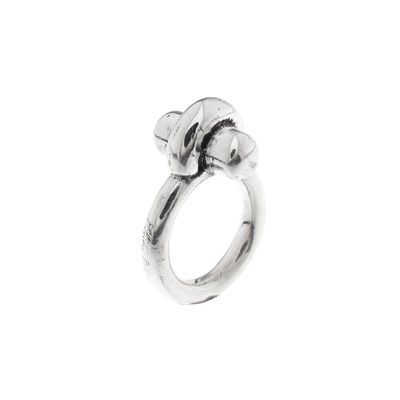 Pure silver ring with two cross tubes. Measures: 16 mm inside diameter. 11mm wide by 9mm high, top. 2 mm width ring.